I am delighted to share with you my latest interview which focuses on sports betting solutions in the online gambling industry with emphasis on Risk Management and Fraud detection. Matt Howard is the Director of Sportsbook Solutions, a premium sports betting advisory and management firm located in the UK and serving businesses worldwide. Matt has worked for and with some of the largest operators and suppliers in the sports betting and gaming industry, amongst them William Hill, Betfred, Totesport, BetConstruct, Aspire Global, BetRadar, BetGenius and Digital Sports Tech. I would like to thank you for spending time to answer our questions. First I would kindly ask you to shortly introduce yourself and also speak about the company you represent, Sportsbook Solutions. Matt: Thanks very much! I am Matt Howard and I am a consultant and director of the company Sportsbook Solutions. Sportsbook Solutions comes from noticing the lack of skilled people currently working in sports betting, in terms of operational Trade and Risk Management mainly. As the industry expands into new regions there are obviously also issues in terms of local skill if there is no background in sports betting in that region. Sportsbook Solutions provide outsourced Sportsbook Management Services to clients worldwide to solve both these issues for them. We work depending on each client’s requirements and budgets; so we may compile extensive reports for some clients, whereas with others we provide entirely outsourced, dedicated sportsbook management teams. We only staff with Tier 1 trained employees and believe this makes us completely unique and premium. You have rich experience in gaming and gambling industries since you have been giving advice to clients for a long a time on different aspect of this industry. Why did you choose this industry and which are the areas you are most interested in and give you the most success? Matt: In the UK we grow up around betting and it has extremely close ties to sports. I was a huge football fan and also very good at Mathematics so being able to combine these two interests and skills with sports betting was a great fit! I was fortunate enough to start my career with one of the world’s largest firms, William Hill, and have always been keen to take on new and interesting challenges in the 14 years since I started my career back in Leeds! What can you tell us about the projects you have worked on so far, and the difficulties and successes you have experienced? Matt: I have been lucky enough to work in both B2B and B2C and with companies of all sizes and stages of their lifecycle. I have also worked in every department within sportsbooks and in the most senior roles operationally, too. I think this gives me a unique perspective on how to manage sportsbooks effectively and with an in-depth understanding of how the suppliers also work to be able to both identify weaknesses and also to work to eliminate these areas. There are always some difficulties and these can come down to a lack of processes, budget constraints and sometimes a lack of skill and expertise also. I am a huge fan or process and organization and I always start from here. Some of the major successes I have had have been project managing the first integration between the Margin Maker console and BetRadar, rebranding the UK’s oldest sports betting company and, most recently, in leading the BetConstruct sportsbook to be the largest B2B sportsbook currently available. This included increasing their clients by over 100%, increasing turnover by over 300% and increasing profit margins on sports betting by over 50%. Risk management and fraud detection are major goals of Sportsbook Solutions. How can you help other companies who operate in this domain to be more efficient considering these two major aspects of the industry? Matt: One of the areas Sportsbook Solutions consider to be suffering in the industry is Risk Management. The rise of pooled resources and automation have been good in many ways, but we don’t feel this is true of Risk Management. A goal of our company is to provide personal management to our clients businesses and Risk Management is a hugely personal process for every company. As a very simple example a start-up sportsbook would benefit from much tighter control of Risk Management than an established brand who has found their place in the market. Our clients typically increase their profitability by over 25% by working alongside us because of this personal level of management. This is not only Fraud of Player Management either. What is rarely discussed is Risk Management of the Limits and Margins of a sportsbook. One of the most regular issues we see is that the pooled nature of these areas on Turnkey Solutions means that areas are both losing too much and others are restricting profitability. The combination is very damaging to profit margin. The good thing is this can be changed and the solutions allow you to do so. 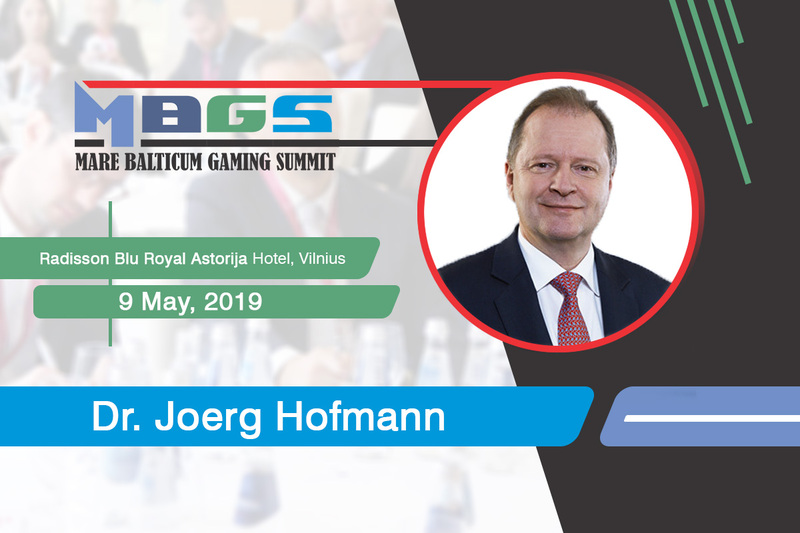 What is your personal opinion about the European gambling industry and could you make a comparison with the market that you know better and the European situation in terms of gaming and gambling? Matt: I have worked extensively in Europe (even at William Hill I focused on their Spanish operation) so I consider this to be one of my main markets. What is happening now is a huge growth period in terms of new businesses because of the much lower entry cost. The issue we see mostly is a lack of professional advice or management. We feel that no business should enter into a market without knowing what they are getting involved in, this is where Sportsbook Solutions comes in! What upcoming events is the company focusing on nowadays and how prepared is the company for these events? Matt: We are still quite a young company and we plan to attend as many events with a sports betting focus as we can. However, we are also very careful not to do this at the expense of our existing client’s management. So, we pick carefully the most interesting events in terms of content, attendees and business opportunities. VIGE appealed to us because it ticks all the boxes, but the focus on millennials really caught our eye! Please, tell us more about the future plans of Sportsbook Solutions. Matt: Our plans are to keep trying to educate the sports betting industry that things can be improved with personal management. We hope this leads to us being able to work with more clients, but we also feel just by making people think more about how their business is being managed will see improvements, which will be good for everyone and drive the industry forwards. If you could change anything in the world of gambling what would that be? Matt: I would hope to change the idea that Trade and Risk Management are ‘old school’ concepts. We are a forward thinking company and we understand that the days of doing all the odds in-house are over. But, the basic principles of these two areas are what define the profit margin in sports betting more than any other area. What are your future plans regarding you career and where would you like to travel the most? Matt: I hope my career sees Sportsbook Solutions become a successful and respected service provider within the industry. I have no intention at all of leaving sports betting as I truly find every day interesting and exciting, even after 14 years! In terms of travel I have been very fortunate to travel extensively in my professional and personal life. I would love to see more of South America and consider it a huge business opportunity also, so hopefully I will be able to combine the two! 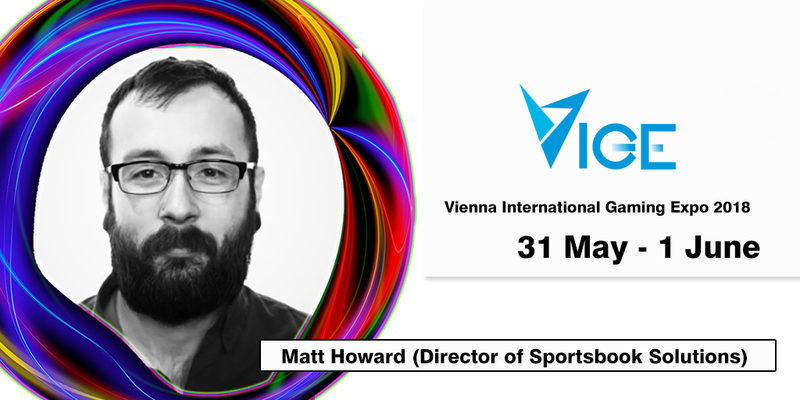 If you want to meet Matt in person or networking with the biggest names of the Sports betting, Casino, VR/AR, Marketing, eSports, DFS, Virtual Sports and Crypto industry, make sure you attend the Vienna International Gaming Expo.